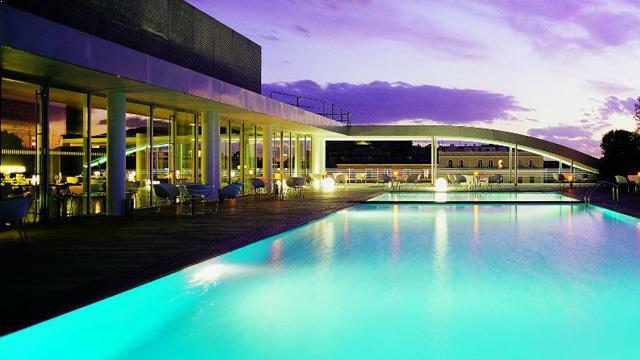 At the Radisson Blu es. 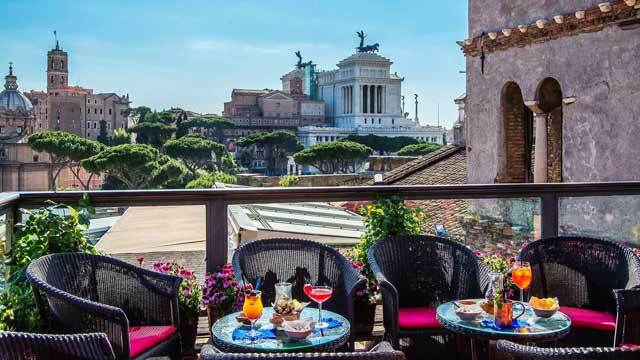 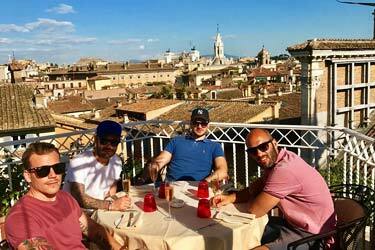 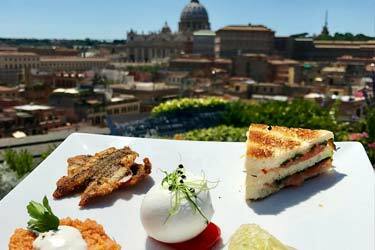 Hotel Roma rooftop you can really enjoy la Dolce Vita, mingling with a few celebrities and the trendy crowd of Rome, enjoying the breathtaking views of the Eternal City. 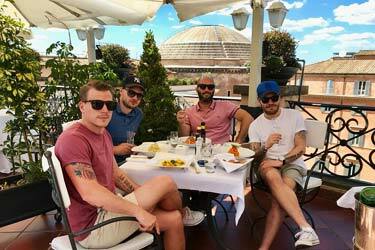 This is a rooftop bar in Rome with fantastic interior and furnishings surrounded by a modern swimming pool and a lounge bar, called Zest Bar. 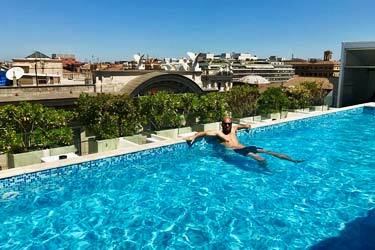 The rooftop pool is open all summer to both hotel guests as well as the public, for a fee between 65-90€. 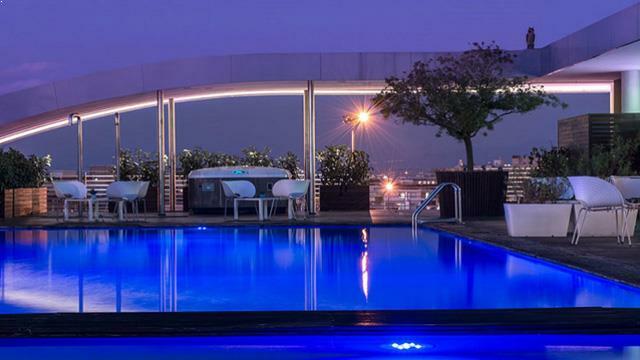 If you didn't bring your swimsuit you can instead enjoy both cocktails and dinner poolside at the Zest Bar. 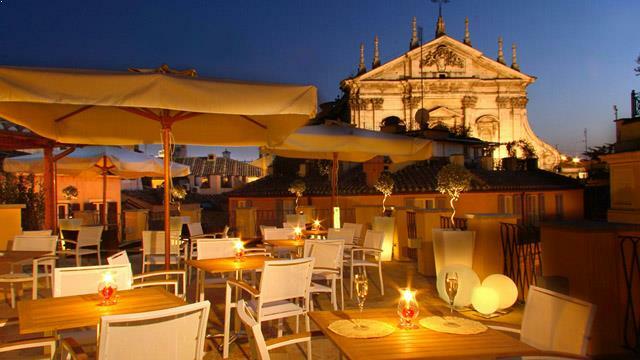 Indoor lounge during the colder months, but in summer the large rooftop terrace turns into a chic meeting spot where you can enjoy classic italian dishes for lunch and dinner, or your summerish cocktail to the sound of jazz or lounge music from the live DJ. 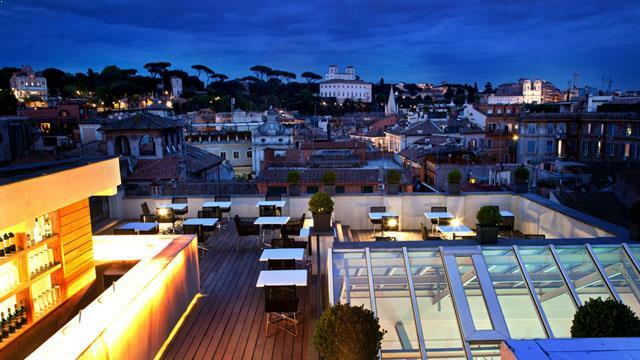 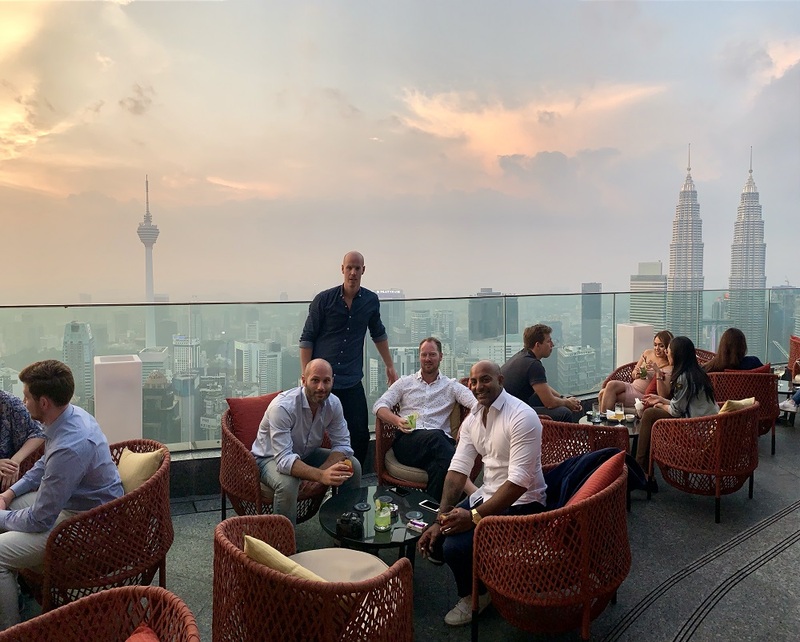 The location of the rooftop bar is very good, situated right next to the Termini train station, making it easy to find and to get to. 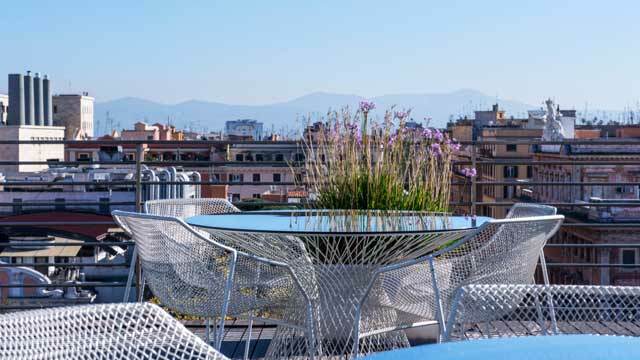 If you like swimming pools with a view, you should check out our list of the best rooftop pools in Rome.